Finance Magnates recently spoke with Gus Farrow, FXStreet’s Product Developer and Course Leader, as well as the architect behind the company’s course offering at the University of Essex Online – the course is the result of an ambitious two-year initiative by Mr. Farrow, who hand picked the university for FXStreet’s flagship program. 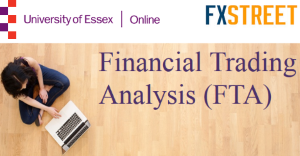 More specifically, FXStreet has teamed up with the University of Essex Online to offer a Financial Trading Analysis (FTA) program, which also features a Masters-level introduction to finance. The program caters to both novices and professionals who utilize an interest in risk management and a wide range of trading. “One great thing about working with the University of Essex Online is they already had a masters and MBA program which students can progress onto. When our students graduate with their postgraduate certification, it can count towards a MBA concurrently, which is a huge draw for prospective individuals,” added Mr. Farrow. 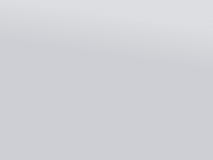 We wanted to create a situation to compart-mentalize a Masters that individuals can study in their own time. Mr. Farrow relied on the framework of the curriculum from his tenure at FXStreet, having been at the forefront of financial markets for the past several years. Subsequently, the program has already cultured a robust interest in the UK and has secured a number of individuals. The course will feature a number of leading professionals and industry mavens from the financial services industry, all of whom will be acting instructors for the program at the University of Essex. We are learning from traders and fund managers and this is an approach we have taken in this course. With such a premium on education and technical training, the program has definitely garnered substantiated interest in the UK. Ultimately, “There is a gap in terms of education, which justified thinking about the creation a product based on market compliance and regulation. We segmented the cost of the MBA to price the course accordingly, and it offers students a truly comprehensive learning experience,” Mr. Farrow added. Prospective students and individuals interested in more information on the program can access the following link. 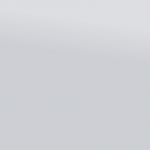 I just finished this FTA course with the University of Essex, the course counts towards one of my biggest disappointment. Expensive and poor in content and delivery. A shame that the University of Essex is part of this mediocrity. In my opinion save the GBP 1,500.00 and take some further better courses at Coursera for a fraction of the price and delivered by people that know what they are talking about. Not worth the money or the time. Very poor indeed.